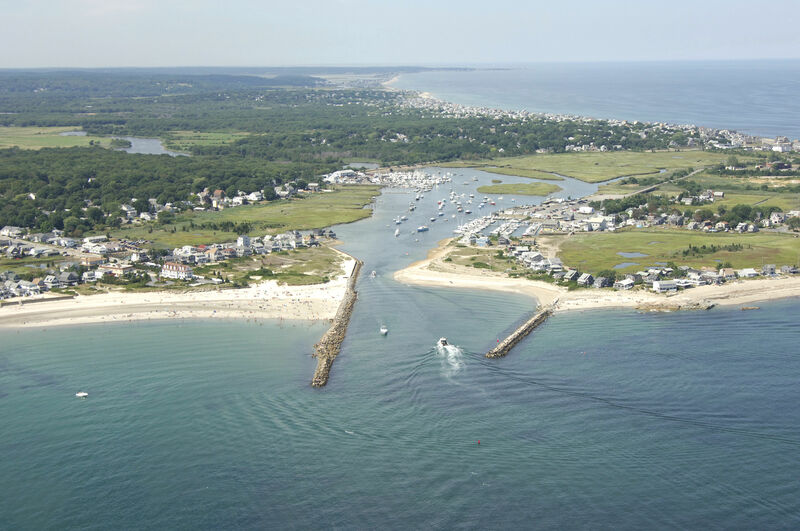 Located about 35 miles southeast of Boston and 25 miles northwest of the Cape Cod Canal, Green Harbor is a convenient midway stopping point for boaters traveling the Massachusetts Coast between Cape Cod and Boston. 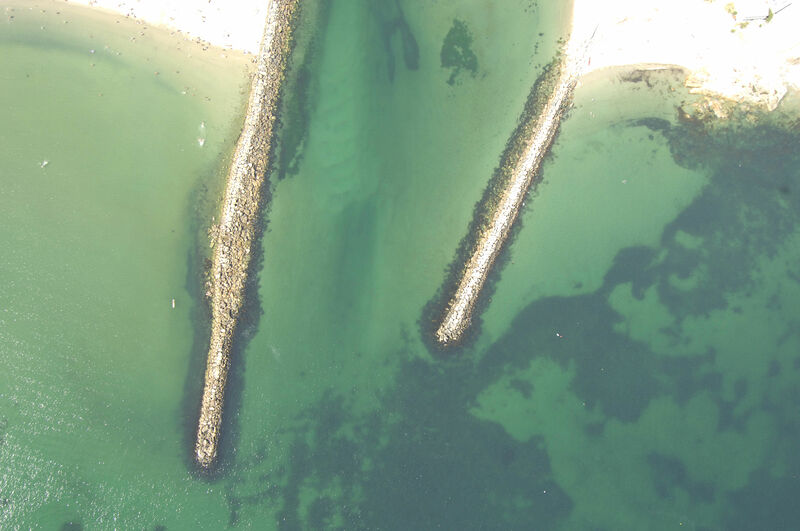 The only caveat with using Green Harbor would be the 2.5- to 3.5-foot depths you will find once you have cleared the breakwaters to the harbor; not all boats have shallow enough drafts to visit here. 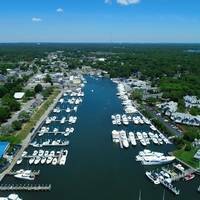 If your boat can squeak over the bottom, you will find four good facilities in Green Harbor with two major full service marinas. 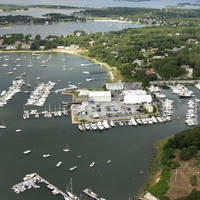 There is also a mooring field available here. From the Atlantic Ocean you will first locate and set a course for flashing green buoy "3," about one-quarter mile south of the Green Harbor breakwalls. From flashing green buoy "3," set a course for red nun "6," (visible in the image above) and then into the harbor, making sure to give wide clearance to the north breakwall, which is marked with flashing red "8." 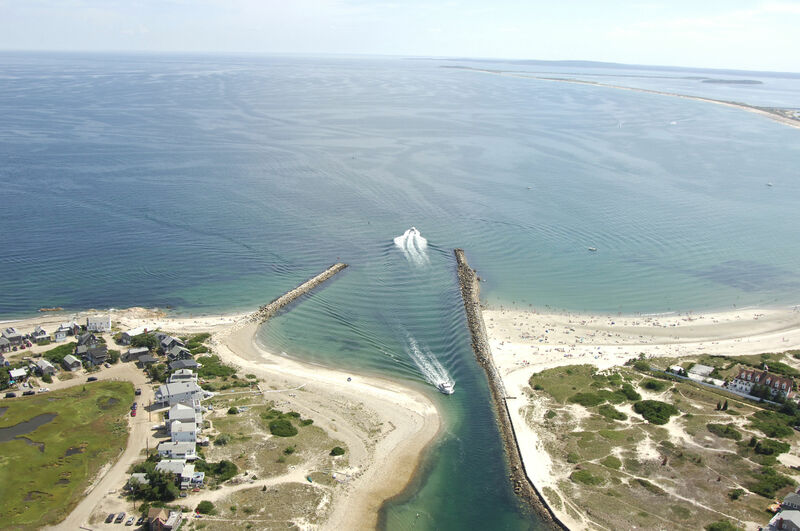 Depths between the breakwall and farther in past the sandy bulge that encroaches on the channel are 11 feet, but the harbor shallows quickly to 3.5-foot depths past the first large marina to starboard. No reviews yet! 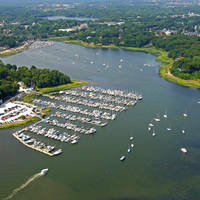 Be the first to write a review of Green Harbor River Inlet.